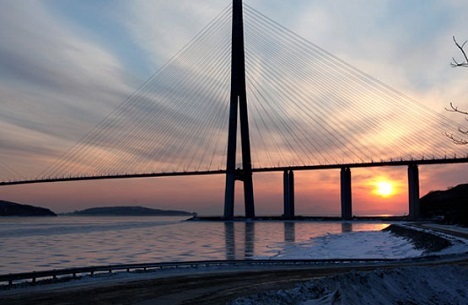 Visitors to Vladivostok can get a visa on arrival from Jan. 1, 2016. There is a treasure trove of places in the vast Russian landmass that is just waiting to be discovered. Of late, I have been hearing from a lot of intrepid Indian travellers that they’ve had their fair share of Moscow and St. Petersburg.The two cities are no longer considered exotic enough for those with wanderlust, but this is not a problem. Russia is by far the largest country in the world and there is so much more to the country than its most famous cities. Winter is a wonderful time to travel off the beaten track in the country. Rail and airfares are much lower than they are in the peak season, and the ruble’s troubles make travelling in the country a much more economical option. Here are five offbeat destinations that are worth visiting this winter. The world’s largest city north of the Arctic Circle is one of the most unique places on earth. Surrounded by bare mountains and the Kola Bay, the city, which is near Norway, is of vital strategic importance for the Russian Navy. The best reason to visit Murmansk is to see the spectacular phenomenon called Aurora borealis or the Northern Lights. What looks like bright dancing lights of green, yellow, red, blue and violet shades, are in reality, collisions between electrically charged particles from the sun that enter the earth's atmosphere. You have the best chance of seeing this phenomenon in the winter when the city has polar nights. The majestic city in the Russian Far East has long been a must-see destination for those keen on travelling on the Trans-Siberian railway. It has a great mix of modern buildings and bridges, built for the 2012 APEC Summit, to go with turn of the 19th to 20th century architecture. While it doesn’t get as much snow as Khabarovsk or Sakhalin, the winter winds can be bone chilling. It’s particularly beautiful around the New Year holidays with ice sculptures and holiday decorations donning the city center. Here’s the best news: All foreign visitors directly arriving to the city from January 1, 2016 can get an 8-day visa on arrival. The free visa is valid only for the areas that come under the Vladivostok free port area, which comprises of the city and several municipalities in the Primorye Territory. Broad streets, ornate churches and stylish 19th century architecture define this city that was built by exiled intellectuals. It was once known as the ‘Paris of Siberia,’ but that was before the Bolshevik Revolution brought with it a large number of standardized housing blocks. The city’s main park has an ice castle in the winters and a remarkable set of sculptures. The restored riverside churches are stunningly beautiful and offer great views of the city. Irkutsk is well off the tourist track, especially in the winter and provides a unique Russian experience. It is also close to Lake Baikal, the world’s deepest lake. The top layers of the lake freeze in the winter, giving it a different kind of beauty. Since it’s offseason, airfares to Irkutsk and other Siberian cites like Novosibirsk, Ulan Ude and Krasnoyarsk are far less expensive. Find out why the host of the 2014 Winter Olympics is considered the playground of the Russian elite. The resort-town on the Black Sea coast, which is close to the Caucasus Mountains, has a mild sub-tropical climate and is more or less pleasant all-year round. Being one of the few places in the country that is relatively warm and sunny even in December, you can have long stretches of beaches to yourself, as the tourist hordes would have abandoned the city by then. There is a wonderful set of neo-classical buildings on the coastline and opulent spas that remain open for most of the year. Once you have enjoyed the city, travel up to the mountains for winter sports in the same facilities that were used for the Olympics. Many of the luxury hotels in and around Sochi offer discounted rates in the winter. Get a taste of old Prussia in the Russian Baltic enclave, which was the home of the great German philosopher Immanuel Kant. The enclave, once called Königsberg has some relics of its German past, such as theBrick Gothic-style Kaliningrad Cathedral. Kant’s grave is behind the church. The residents of Kaliningrad take great pride in the past and there are several walking tours that give a visitor a glimpse into the Königsberg days. The area known as the Fish Village has the best preserved pre-World War II architecture and streets. There are spectacular views of the Baltic Sea and the city from the main lighthouse. If you’re keen on nature to go with history, it’s possible to take a day trip to the Kurshkaya Kosa National Park, famous for its large sand dunes and pine forests. The best way to get to the enclave is fly from Moscow. Indian citizens travelling by train from Central Russia would need a double entry Russia visa and transit visas for Belarus and Lithuania, a member of the Schengen zone.